OH 4/13 1:30 ~ 4:00 This prestigious practically new two-story home is located in the gated Lakes community. Fabulous open floor plan offers 5 bed and 3 bath. Main floor has a full bedroom and bathroom. 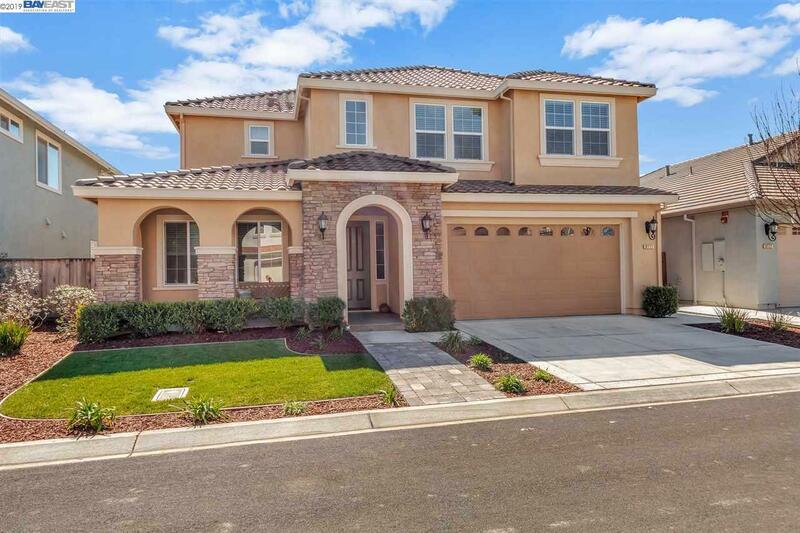 This home features MANY upgrades including designer tile floor throughout. Gourmet kitchen with walk-in pantry, seating for plenty of guests in the large dining room or enjoy casual meals in the eat-in kitchen. The dark elegant kitchen cabinetry balances well with the granite counters and stainless appliances. Gas Fireplace in living room with built in storage benches on each side.Â Wrought iron stair rails, large master suite with walk-in closet, dual vanities in master bathroom with large tub. The laundry room is conveniently placed on the second floor with extra storage along side a loft area perfect for a second family room, large backyard with mature Avocado, Fig, Orange Lemon & Lime trees, & a cozy CA Rm. Zoned for sought after Old River Elementary TK-8 KESD.